Do you need a comprehensive weight loss system? One that addresses all of your physical processes, not just calorie consumption. 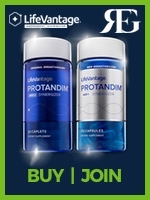 LifeVantage designed a system that is designed to bring your body into balance. This way, it’s more likely that you will reach your weight loss goals. Introducing the PhysIQ Fitness System. Learn more about the PhysIQ Weight Loss system in this video. Why is immune support critical for weight loss? A properly-functioning immune system is vital. But it has special ramifications for weight loss. If your immune system is weak, you might have a chronic underlying condition that is making it difficult to lose weight. It can sap energy and rob of us sleep. It can trigger or exacerbate inflammation. These health problems can sabotage your hard work. When you are trying to lose weight, succumbing to a flu bug or virus can derail your efforts. A weak immune system can have negative psychological effects, as well. Why is it important to detox when starting a weight loss program? Clean digestion is the first step to success with our PhysIQ weight management system. Using natural ingredients, PhysIQ Cleanse helps your system clean itself and get moving again. It produces digestive regularity, clears the way for healthy digestion and gives you the key to hit your health targets—getting unstuck. What role do probiotics play in weight loss? PhysIQ ProBio uses verified ingredients to support longterm gut health. With BIO-Tract® controlled-release technology and Wellmune®, it’s a scientifically-advanced answer to gastrointestinal problems that doesn’t come with avoidable side effects. What about PhysIQ Protein Shakes? The PhysIQ Protein Shake helps build the muscle your body needs to burn stubborn fat. It combines fast- and slow-release proteins to immediately curb your appetite and keep you full longer. It has no needless sugar, carbohydrates and calories. It delivers amino acids to support quick workout recovery and help you build and maintain lean body mass, which helps you burn fat more effectively. How does PhysIQ Fat Burn help? PhysIQ Fat Burn’s has Sinetrol® and Svetol® to help you feel full longer. We use natural fat burners—like citrus and green coffee bean extract—to stimulate the breakdown of abdominal fat and advance long-term weight management. My name is Adam Green, and I am a LifeVantage Independent Distributor in Salt Lake City. I sell LifeVantage PhysIQ Essentials Fat Burn, ProBio and Protein Shake. My favorite products include LifeVantage AXIO Decaf Smart Energy. The information on this page is designed for informational purposes. It is not to be a a replacement for appropriate medical advice or care. You should not use this information to diagnose or treat any health matters or illnesses without speaking with your physician.